As a member of the New Jersey golf community, I understand my role is crucial in improving the pace of play in the sport I love. Therefore, I pledge to do my utmost to pick up my pace of play at all times because the future of golf depends on it. I will play from the set of tees that best suits my game. I will shorten my pre-shot routine and practice “Ready Golf,” when it’s appropriate and safe to play. I will pick-up my golf ball when I am out of the hole or have exceeded my Equitable Stroke Control Limit. I will “read” my putts while others are putting or chipping to the green. I will serve as an example on the golf course and help guide my fellow golfers to improve their pace of play. I pledge to support those who manage the courses where I play as they find solutions for optimizing the pace of play. I will pick up my pace of play because I know it will play a part in making golf more enjoyable for myself, my playing partners, those on the golf course with me and the entire New Jersey golf community. To receive the official NJSGA PACE OF PLAY PLEDGE bag tag please fill out the form below and click SUBMIT PLEDGE. *Note: Anyone can take the PLEDGE, but you must be an NJSGA Member to receive the personalized NJSGA PACE OF PLAY PLEDGE bag tag. Please take a moment to fill out this brief PACE OF PLAY SURVEY. The information provided will help the NJSGA and member clubs speed up play throughout our state. 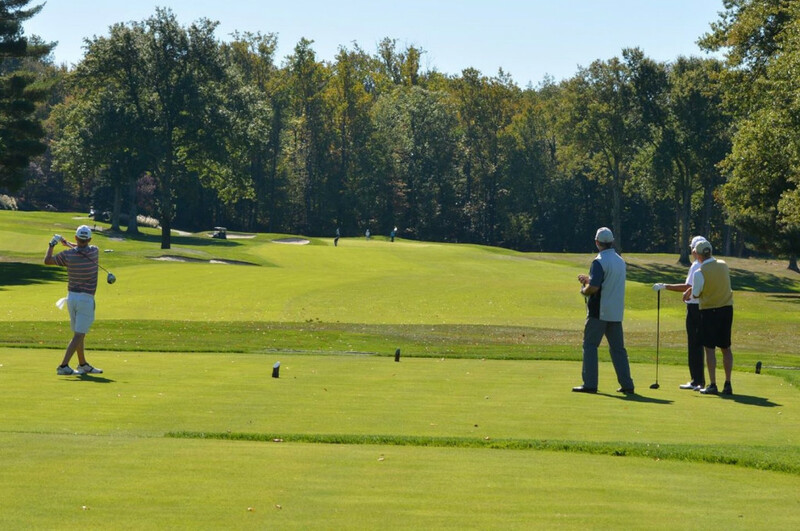 Click Here to learn more about the NJSGA Pace Of Play Initiative. Playing at a better pace is not about rushing around the course. It is simply about being more efficient with your valuable time, and the time of those around you. Adopting this mindset and sharing it with your fellow players will ultimately add enjoyment to your golf experience.